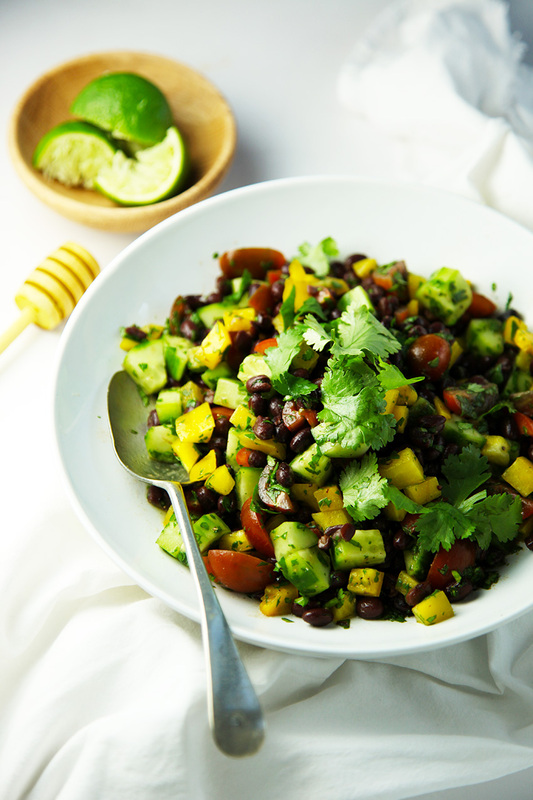 This Mexican black bean salad is super easy and super quick. I’ve used canned beans for convenience. They are the perfect fast food and I always have some in the cupboard ready for a quick side dish or lunch. I started giving H beans and chickpeas early on and would simply mash them with a fork. He now absolutely love them and will happily eat them straight out of the tin. Drain and rinse the black beans. Add to a bowl along with the tomatoes, cucumber, capsicum, and coriander. Combine the dressing ingredients and add to the salad. Season with salt and pepper and serve. Add more cumin to suit, I've kept it mild for the little guy. Chilli would also be a great addition. Love the colors! Love the flavors! I make a similar salad so I know how delicious it is!! Yum! Thanks very much Julia, it is definitely a favourite salad of mine. I make it often. I could live on Mexican food–this salad is perfect to serve on the side or rolled up in a burrito the next day for an easy dinner! We are loving everything about this salad, great idea!! 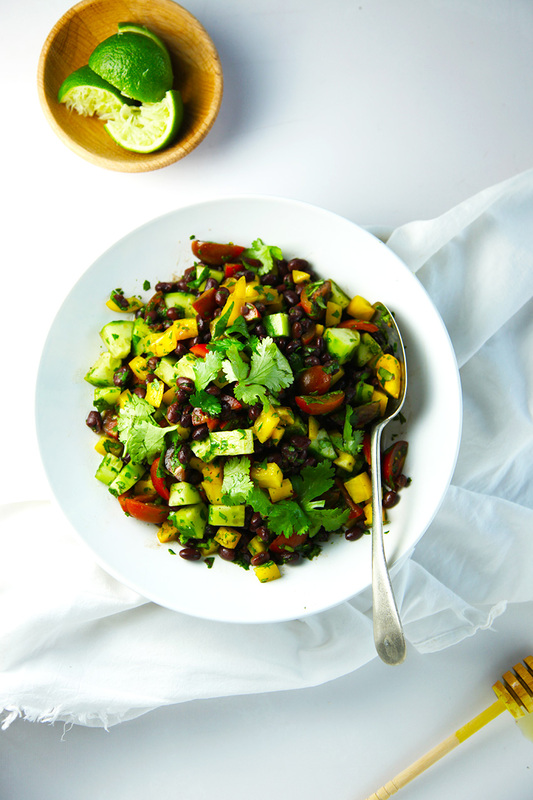 Black beans are one of my all time favourite foods as they are so nutritious and versatile. This salad looks so fresh and inviting. The only thing I would change is to sub the honey for maple syrup to make it vegan. Other than that it is perfect! All the wonderful ingredients go so well together. Love corn and black beans in a salad. I swear, your toddler eats better than most adults! This looks delicious, can’t wait to try it. YUM! This salad looks so delicious! Gorgeous photos!